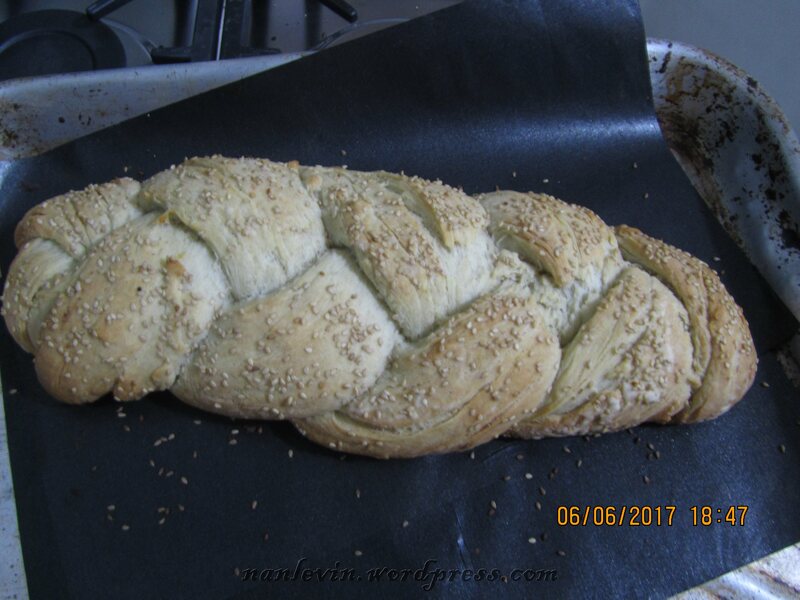 Late yesterday afternoon I was looking at Facebook and a post came up for making a braided bread. It sounded so easy that I decided to try it. All the ingredients are placed in a zip lock bag and kneaded through the bag, leaving your hands and counter clean. This was the recipe for me! After you had the ingredients all mixed together you placed the bag in a bowl of warm water for 30 minutes. After 30 minutes you add 1/4 cup more flour and knead that into the mixture, place that on the counter for 1 more hour of rise time, still inside the zip lock bag. 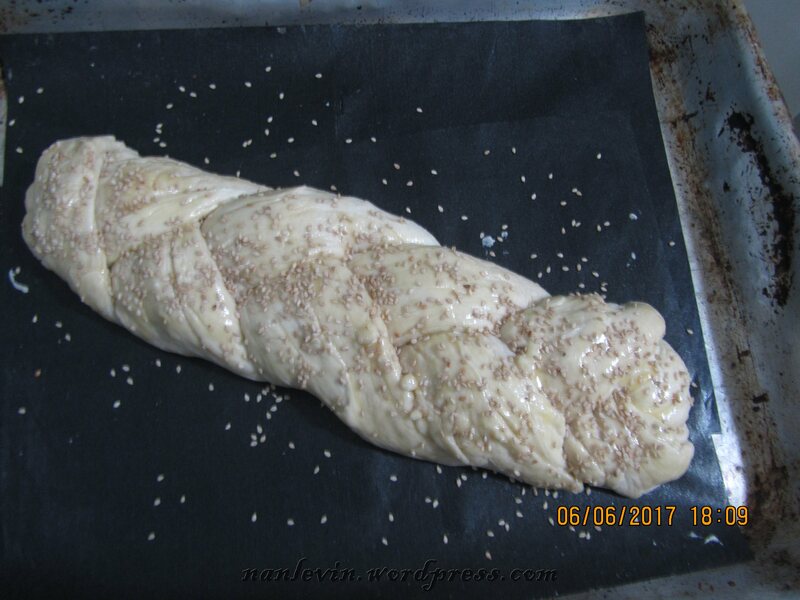 Then cut the dough into three same sized pieces and with your hands on a flour covered counter, roll them out into long ropes, braid, coat with butter and sprinkle with sesame seeds – bake for 40 minutes and it was done. Easiest recipe I have ever used and no clean up…right up my alley. 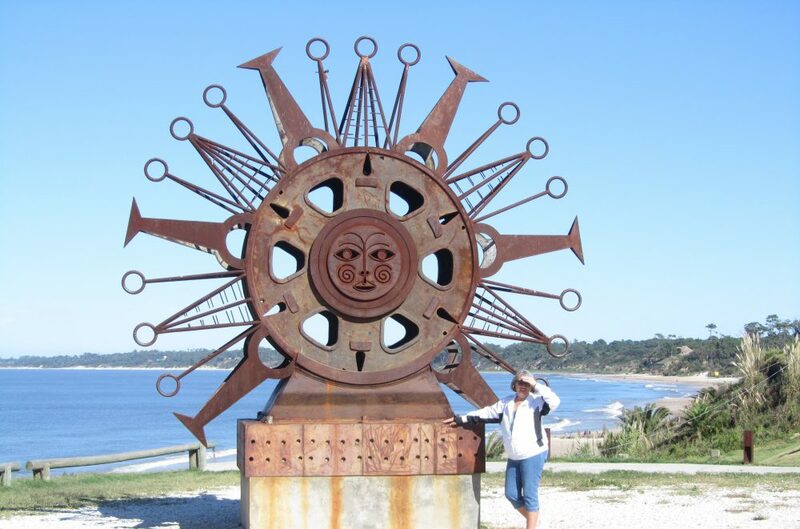 And it looked very pretty when it was ready. I am attempting to bake with other flours besides wheat, so 1/3 of the flour in this recipe was sorghum called sorgo in Uruguay. It added a nutty flavor and both Joe and I enjoyed it. I made french toast from it this morning with cinnamon and honey. Would I make it again? Yes. Next time I would use a different non-wheat flour just to see how it worked out.